Who can say why a particular theme or narrative trope might suddenly find favour with writers, how similar stories appear to proliferate at a particular time? The beginning of the decade saw a spate of books about circuses, with Erin Morgenstern’s The Night Circus, Kim Lakin Smith’s Cyber Circus, and Genevieve Valentine’s Tales of the Circus Tresaulti all being published in the same year. More recently there has been a resurgence of writerly interest in fairy lore, with recent fairy-themed novels including Graham Joyce’s Some Kind of Fairy Tale, Keith Donohue’s The Stolen Child, Frances Hardinge’s Cuckoo Song, and Victor LaValle’s The Changeling. 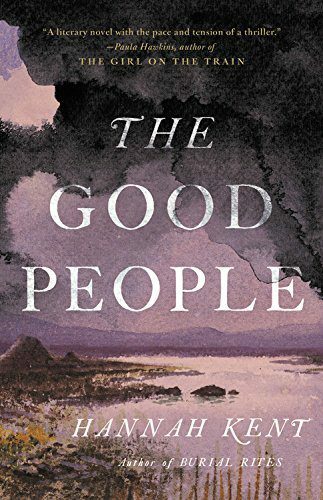 These past twelve months have seen the release of Alison Littlewood’s The Hidden People and Hannah Kent’s The Good People, with the publication of two such thematically similar novels so close together making it all but impossible not to consider them as a pair. Both novels are inspired by the idea of an invisible realm separate from yet analogous with the human world, and specifically by a belief in fairy changelings. We should also note that their stories are based around true events: The Hidden People on the case of Bridget Cleary, who was burned to death by her husband in Tipperary in 1896, and The Good People on the case of Anne Roche, who together with Nora Leahy was put on trial for the murder of Leahy’s grandson Micheál Kelliher in Tralee in 1826. That Hannah Kent knew of the Cleary case cannot be in doubt as she references it in her author’s Afterword. Whether Littlewood knew of the Roche case is not made explicit, though given the mysterious coincidences that seem in play here I would not be surprised. 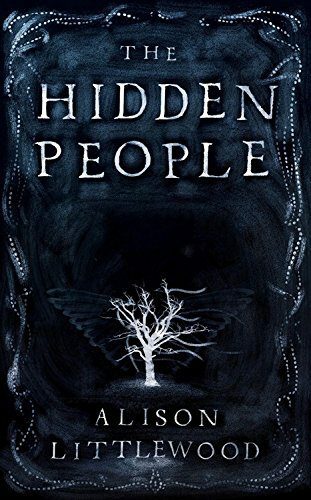 In Littlewood’s The Hidden People, Albie Mirralls meets his “northern cousin” Lizzie Thurlston when her father brings her south to London to see the Great Exhibition. In just a couple of hours, Albie finds himself smitten with the young woman, who is spontaneous and curious-minded and unlike the other girls he has so far encountered. Above all, he falls in love with her voice, which is of exceptional beauty and for which he gives her the nickname Linnet. Albie’s father makes no secret of his displeasure at the idea of a match, though—Lizzie is poor and uneducated—and the two cousins part without any likelihood of seeing each other again. A decade later, Albie learns that Lizzie has been murdered, burned alive under suspicion of being a changeling. The murderer is her own husband, Jeremy Higgs, currently residing in gaol and facing a death sentence. Albie is recently married, committed to a life in London, but the news of his cousin’s death fills him with such horror that he feels compelled to travel north to Yorkshire, to discover the truth behind Lizzie’s murder and to see justice done. What Albie finds is part idyll, part nightmare. Halfoak—tellingly, when Lizzie first tells him the name of her home village, Albie mishears it as “our folk”—seems lost in time, primitive even by the standards of the day. Half the villagers are eager to confirm that the real Lizzie has indeed been abducted by fairies, the other half seem unwilling to tell Albie anything at all. A Mrs Gomersal seems particularly knowledgeable on the subject of changelings. She arranges for Albie to view the horrifically charred body of his cousin and later takes him to see Mother Draycross, a local wise woman who is purported to have “the sight,” and who may even be part fairy herself. The story becomes further complicated when Albie’s wife, Helena, arrives in the village, determined to stand at her husband’s side as he makes his enquiries. Helena is unimpressed by the basic living conditions at the Three Horseshoes Inn and insists they find alternative accommodation. Where else is there to go, other than the cottage on Pudding Pye Hill where Lizzie met her gruesome end? Pudding Pye Hill, as the local constable reminds them, has “a somewhat evil reputation,” and is where the fairies are said to dance on Midsummer Eve. For Albie, such legends are nothing but superstition, nonsense put about by the ignorant and uneducated. As the days pass though, and Helena’s behaviour veers between stark depression and mocking jealousy, Albie finds himself becoming seduced by these ancient mythologies. He begins increasingly to wonder if the villagers’ talk of fairy enchantment is more than just talk. The way in which both Lizzie and Helena are seen by their husbands as “sensible females” whose sudden defiance is so inexplicable it can only be explained as supernatural is a comment upon the position of women of all classes in Victorian society: women should be pliable, pleasant, unobtrusive. They should look to their husbands and other male kinsfolk for guidance and support. Albie’s confiscation of Helena’s chosen reading material—Emily Bronte’s Wuthering Heights, which he deems “unsuitable”—comes as a key moment in the disintegration of relations between them. On catching sight of some words in Lizzie’s journal that seem to refer to him, Albie finds himself overwhelmed with nostalgia and the sense that “at least here had been one who had looked up to me.” Albie’s longtime crush on Lizzie is thus revealed for what it is: a sense of superiority in the presence of one who happened to see him as he desired to be seen. The novel also makes a knowing nod towards classic Victorian gothic novels in having its supernatural goings-on finally unmasked as human mischief. This plot line is skilfully worked, with the coda leaving The Hidden People’s ultimate resolution satisfyingly open-ended. Unable to afford a second consultation with the doctor, she turns instead to Nance Roche, an elderly “handy woman” who is said to have knowledge of the fair folk and their contrary ways. Condemned by the new priest for paganism and witchery, Nance has not only become ostracised from the community but also cut off from her usual means of making a living. Lonely and desperate, Nance believes that if she can only banish the fairy and restore the true Micheál Kelliher to his grandmother, then the villagers’ faith in her will likewise be renewed. What follows is a distressing tale of hardship, misfortune, and escalating cruelty as the unfortunate Micheál is subjected to ever more dangerous “cures,” culminating in his forced immersion in a freezing river. When their crime is inevitably discovered, Nance and Nóra are taken in chains to the Tralee assizes to stand trial for murder. Fourteen-year-old Mary Clifford is offered her life and her freedom in exchange for bearing witness. The priest believes her testimony will see the two women hanged. No one would come for her today, Nance knew. The valley folk would be swarming the house of the Leahys to pay their respects to the dead, and besides, people did not often come to her at a time like this. She reminded them too much of their own mortality. The keener. The handy woman. Nance opened her mouth and people thought of the way things went wrong, the way one thing became another. They looked at her white hair and saw twilight. She was both the woman who brought babies to safe harbour in the world, and the siren that cut boats free of their anchors, and sent them into the dark. Through the power of Kent’s writing, Nance, Nóra, and Mary are brought to life in a way that feels true for the time, and yet that also has weight and resonance for a modern audience. Indeed it is in its incipient modernity that The Good People has its greatest impact. As we read of the ignorance that surrounds Micheál’s condition, the lack of understanding or help offered to the family by those in authority—the doctor, the priest—we cannot help thinking of the cases of abuse and mistreatment of disabled children in social care that continue to come to light on a weekly basis. As Nóra and Nance languish in gaol, we remember the more recent deaths of women in prison who should not even be there. If The Good People has a fault, it lies in its tendency to repeat itself—I lost count of the number of times we are reminded that Micheál seemed well when he was younger, or that Nance Roche has been denounced as a pagan by the officious new broom of a priest. The book could have been fifty pages lighter just by editing out these unnecessary reiterations and would have become a tighter, more propulsive narrative as a result. On balance though, this is a minor flaw in a novel of genuine power and considerable ambition. Had Littlewood played up her narrative’s inherent ironies to greater effect—notice how Albie is standing outside a church when he makes his pronouncement about city people living industriously by the light of reason—we might have had a much meatier text on our hands. Again and again, the easier, more expected narrative road is taken, and an opportunity is missed. In the end, all historical fictions are necessarily a compromise between what we know and what we are accustomed to imagine. As with any form of speculative literature, the key to effective storytelling lies in a writer’s skill in suspending a reader’s disbelief. Such a suspension must begin with the most ordinary of miracles: speech that comes across as believable rather than costume-drama pastiche, emotions and thought processes that mirror our own rather than seeming to belong to a simpler, more credulous time. There is no such thing as a simpler time, and for a reader to believe in the fair folk, a writer must write as if they—very possibly—might believe in them, too. Nina Allan's stories have appeared in numerous magazines and anthologies, including Best Horror of the Year #6, The Year's Best Science Fiction #33, and The Mammoth Book of Ghost Stories by Women. Her novella Spin, a science fictional re-imagining of the Arachne myth, won the BSFA Award in 2014, and her story-cycle The Silver Wind was awarded the Grand Prix de L'Imaginaire in the same year. Her debut novel The Race was a finalist for the 2015 BSFA Award, the Kitschies Red Tentacle, and the John W. Campbell Memorial Award. Her second novel The Rift was published in 2017 by Titan Books. Nina lives and works on the Isle of Bute in Western Scotland. Find her blog, The Spider's House, at www.ninaallan.co.uk.